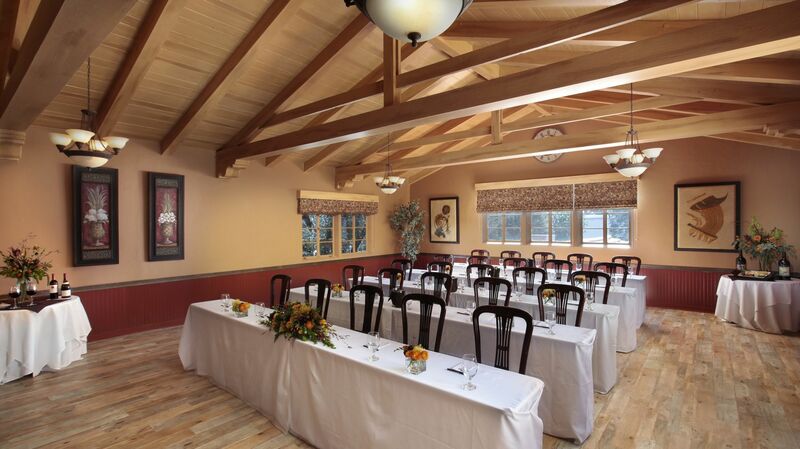 Nestled amid the Central Coast lies one-of-a-kind meeting space, Paso Robles Inn, an ideal choice for memorable special events including banquets, reunions, anniversaries, retreats, conferences, weddings, graduations and holidays. Our historic hotel features over 5,000 square feet of space across our event venues, perfect for conferences, parties, board meetings, sales pitches, and more. Designed to suit your group’s every needs, our event coordinators and experienced staff are dedicated to handling every detail to make sure your event is a huge success. 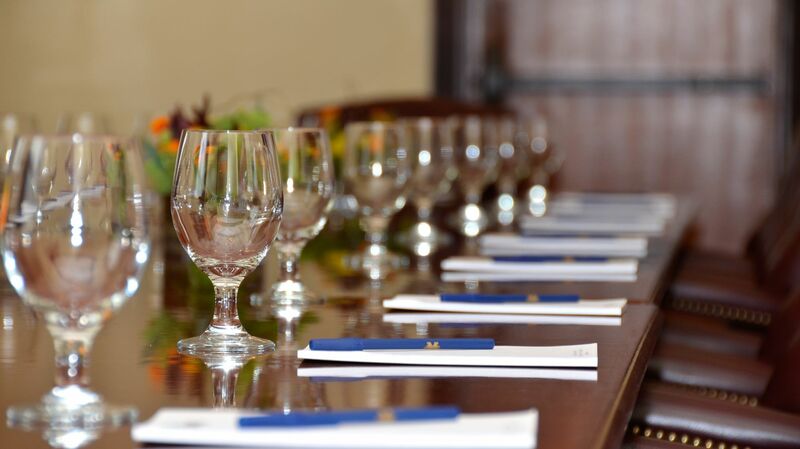 Let us take care of the catering and coordination of A/V capabilities so that you can enjoy your time in Paso Robles and be sure to stop by nearby local group attractions once the day’s meetings are over. Restored to its turn-of-the-century grandeur, this Paso Robles ballroom provides a desirable setting for elegant events. This exquisite choice in Paso Robles event venues features original hardwood floors, wainscoting, and high beamed ceilings. Nestled adjacent to the grand lobby and bar, this room offers an opportunity for guests to explore, making it an ideal setting for large-scale events. Situated upstairs, adjacent to the Cattlemen’s Lounge, the Matador Room is a flexible space and can be set for many types of events. This spacious room can comfortably seat 80 guests reception style. 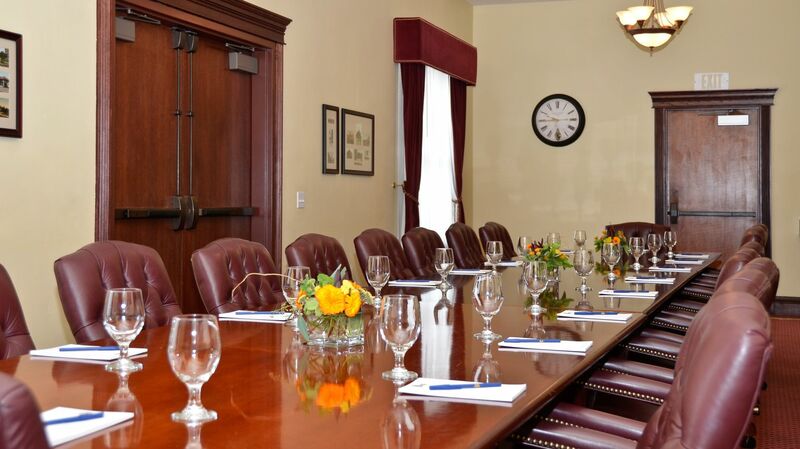 Offers the ideal Paso Robles meeting space for "think tank" and board meetings and features comfortable swivel armchairs, phone and computer access, and built-in visual aids. Featuring a running stream surrounded by majestic oak trees and koi ponds, the gardens provide a naturally beautiful setting for an outdoor event and is one of our most breathtaking Central Coast wedding venues. 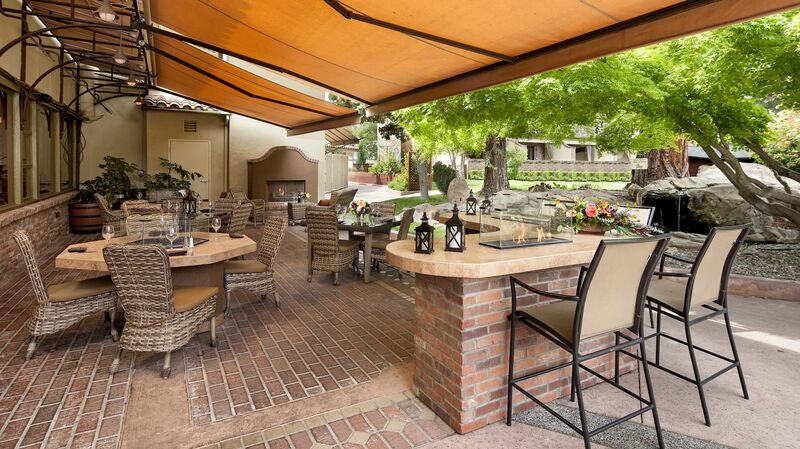 Adjacent to the Inn's gardens, the patio provides the beautiful garden atmosphere for smaller receptions and events. Begin planning your next Paso Robles event today by submitting an RFP below.